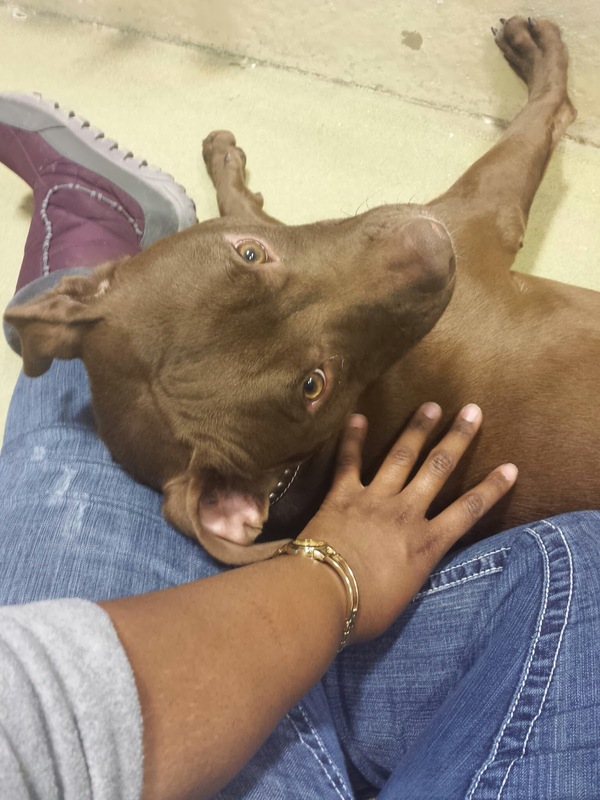 A Pit Bull mix who gave me lots of kisses and eagerly laid down for belly rubs. A bonded pair of Chihuahua mixes who politely competed for space on my lap. A senior Rottweiler/Australian shepherd mix who liked to get up close and personal. A Great Dane mix who didn't get in my face, but gladly stood still while I rubbed his. A Rhodesian Ridgeback/Coonhound mix who, after weeks of being a very defensive mama dog, finally let me come near her without growling and barking. And lastly, a very timid German Shepherd mix who wouldn't get very close to me, but allowed me to massage her head, ears, and neck to coax her to sleep. So basically, yesterday was a very good day.